Disclaimer Notice: I’ve received products/compensation as part of Sin City Stamps manufacturing my stamps. This project however, is 100% my own project! Some of the links in this post are affiliate links. I explain more HERE! Invitations for those fun and spooky Halloween parties. What better way to create them but using some wonderful Halloween stamps from SinCity Stamps. 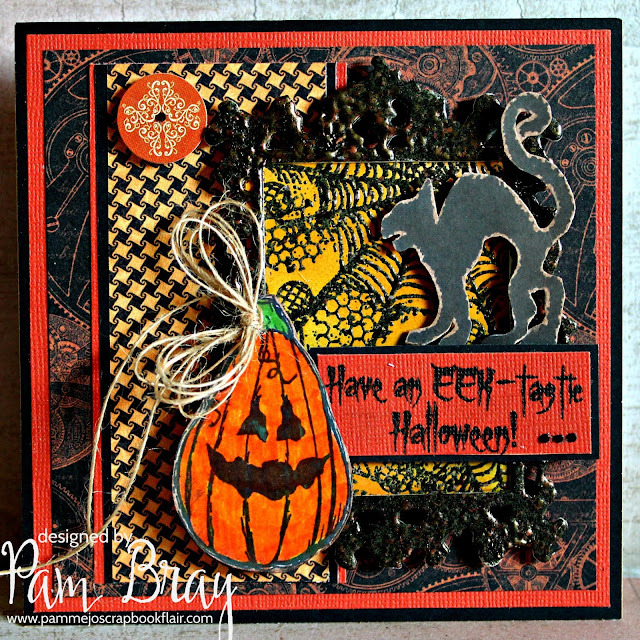 I began my Halloween "EEK-tastic" Card by first stamping the Grunge Cobweb Background Stamp to white card stock with embossing ink. Apply Emerald Creek Burnt Copper Leave embossing powder to top and heat emboss. Ink over top of embossed paper with distress inks. Die cut frame form chipboard, apply Boss Gloss to top. Apply Burnt Copper Leaves to top and heat emboss. Repeat until chipboard is covered. Add prepared embossed Grunge Cobweb Background Stamp to back of frame. Adhere pattern paper and border strip to top of card base. Adhere prepared frame to top of card front. Stamp pumpkin from the Halloween # 3 Stamp Set to white card stock; color with distress markers. Fussy cut prepared pumpkin out; layer together with pop dots. Add to front of frame. Stamp cat from the Halloween # 3 Stamp Set add to top of card front with pop dots. Stamp sentiment from the Halloween # 3 Stamp Set ; mat and adhere to front of card. Add small twine bow to top of pumpkin. Add small circle sticker to top of card with pop dot; add small black gemstone to center. I really hope you love my stamps from Sin CityStamps as much as I do!!! I look forward to seeing what you create when you use them. Don't forget to check out all the amazing stamps that are available from the Sin City Stamps Store!!! Disclaimer Notice: I’ve received products/compensation from Emerald Creek Supplies Design Team. This project however, is 100% my own project! Some of the links in this post are affiliate links. I explain more HERE!. . Hi Emerald Creek Supplies Fans!!! 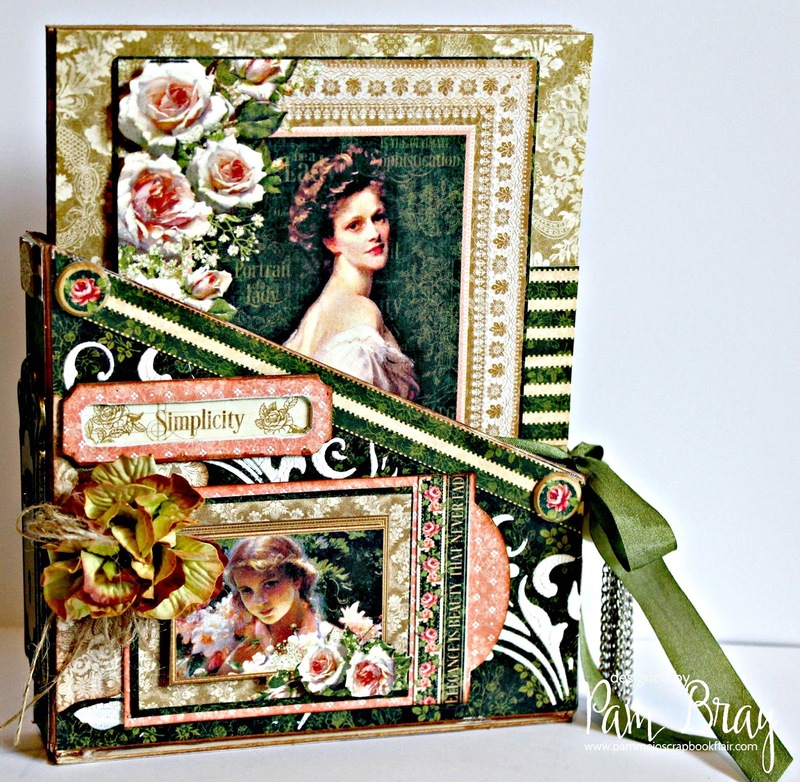 Today I am sharing with you my "Happy 150th Birthday" Card I created for Emerald Creek Supplies Canada the Beautiful Dare Challenge!!! 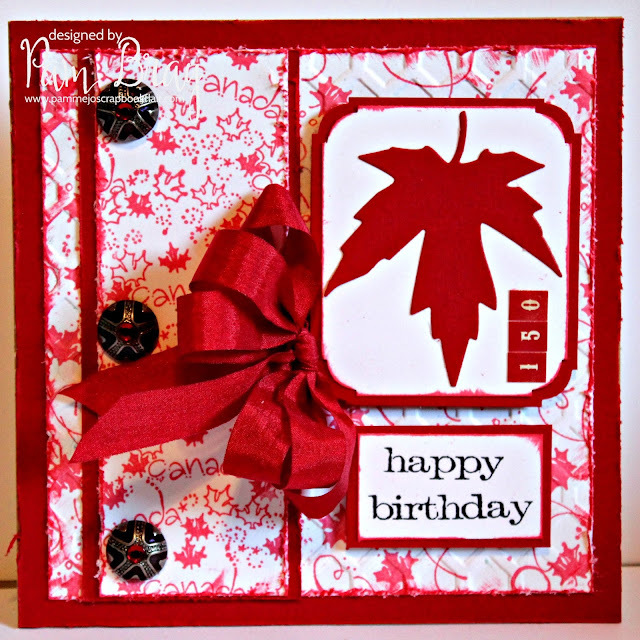 Begin by stamping white card stock with Emerald Creek Supplies Canada Leaves and Maple Leaves Swirls using red ink. Emboss the prepared Maple Leaves Swirls paper using embossing folder. Mat prepared papers to red card stock; adhere to top of card base. 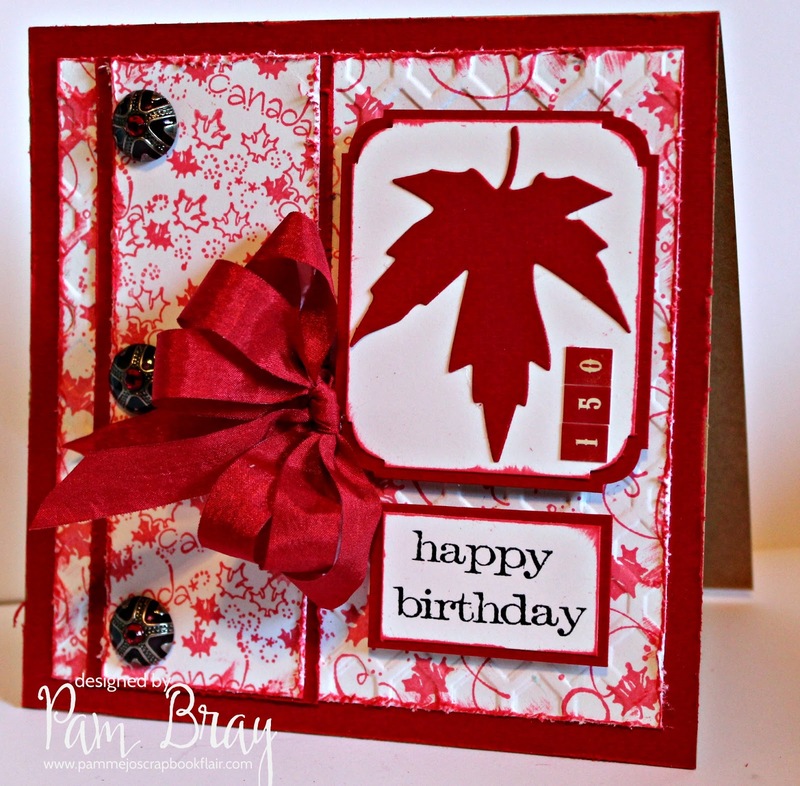 Die cut leaf using die from Fall Foliage Die Set. Adhere leaf to top of prepared mats; add number stickers to top of mats. Add three Silver Red Rhinestone Brads to front of card. Add bow to top of card. I hope you have been inspired to create a project for the Emerald Creeks Supplies "Canada the Beautiful" Dare Challenge! to entered your project on the Emerald Creeks Supplies Dare Blog...HERE!!! Use the InLinkz on the Emerald Creek Supplies Blog. Remember to follow the challenge rules as posted on the right sidebar of the blog, in order to be eligible. Disclaimer Notice: I’ve received products/compensation as part of the Authentique Design Team. This project however, is 100% my own project! Some of the links in this post are affiliate links. I explain more HERE!. Are you looking forward to the holidays!!! Thanksgiving, Christmas, New Years, etc. Do you love creating special moments, special memories during the year. Today I am sharing my Bountiful Gratitude Boxes and Cards that I created for my Thanksgiving table sets but they would be a fabulous addition for any celebration or occasion. 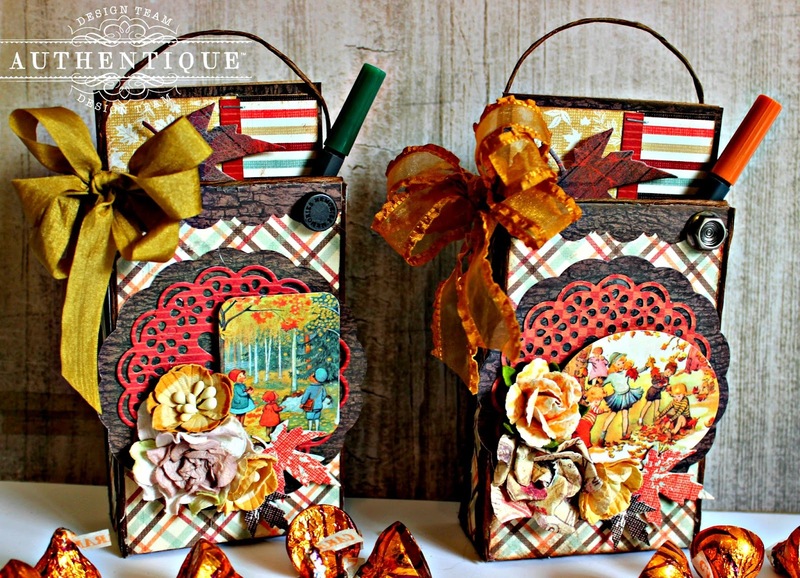 It is a fun way for my family and friends to write a few things that they are grateful for and to have a nice keepsake box to take home that I will have some special treats in. 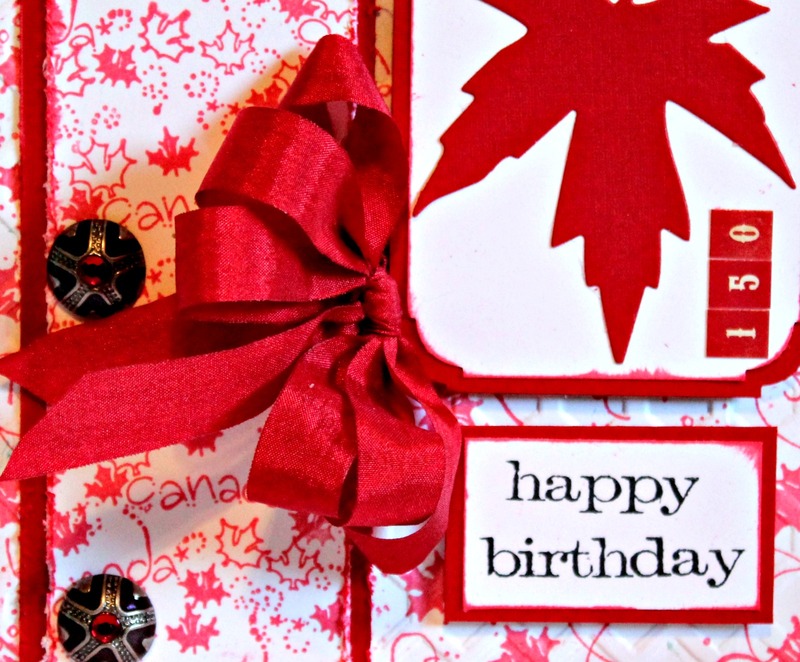 Begin by first die cutting the Sizzix die from mat board and pattern paper from the Bountiful Collection. Add brown wire twine around the seams and top with glue gun. Die cut doily and scallop from pattern paper using die. Add sticker from the Bountiful Sticker Sheet to the front with pop dots. Hot glue flowers and die cut leaves to front of prepared box. Add wire twist handle and metal cap to front of box. Glue small bow to handle. Create a 2 3/4" x 5 1/2" card to place inside of the prepared Gratitude Box. Adhere pattern paper from the Bountiful Collection to the top of card along with a border strip. Add one of the hinge stickers from the Bountiful Sticker Sheet to top of card with some small gemstones. Add one of the sentiment stickers to front with pop dots. Die cut one of the leaves from the Bountiful pattern paper, add to front of card with pop dots. I hope you are inspired to make some special projects using Authentique Collections to decorate you holiday table sets with. It's time to get EXCITED!!!! 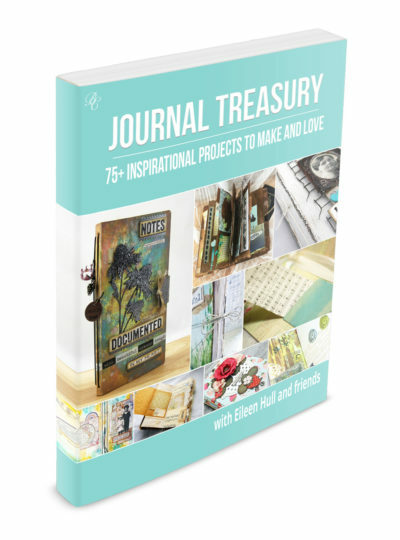 Eileen Hull will be releasing Sizzix Book Club Die Collection sometime in the fall!!! The Book Club Collection is so VERSATILE!!!! It will consist of 3 Score Boards Dies and 3 sets of Thinlits. Each die works with the others and the components can also work with dies from other collections, such as the Journal and Passport Book. Each die may be used in so many ways- on books, cards, gift boxes, home decor projects, and for storage and organization. Imagine a die that can create a box, a book and a frame all on one die- we have that! Come explore the Book Club Collection with the Inspiration Team and let us know which one is your favorite! I KNOW I AM SUPER STOKED OVER IT!! MAKE SURE TO GET YOURS AS SOON AS THEY ARE AVAILABLE. 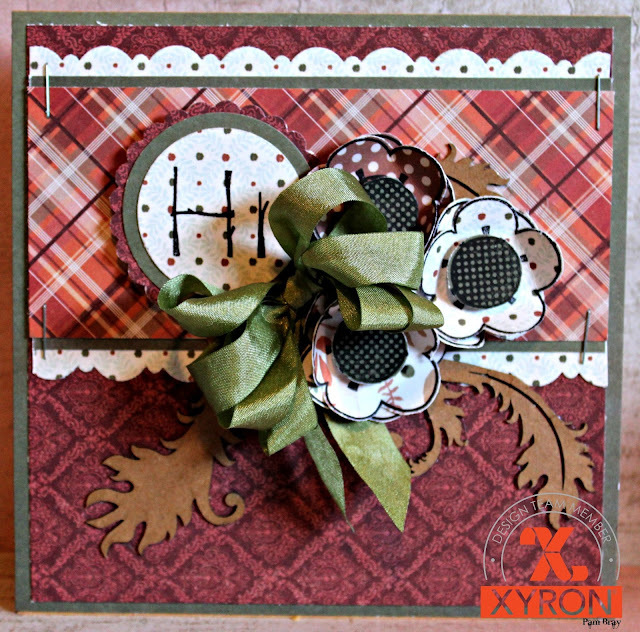 "Hi" Card with Xyron and Paper Smooches Blog Hop! 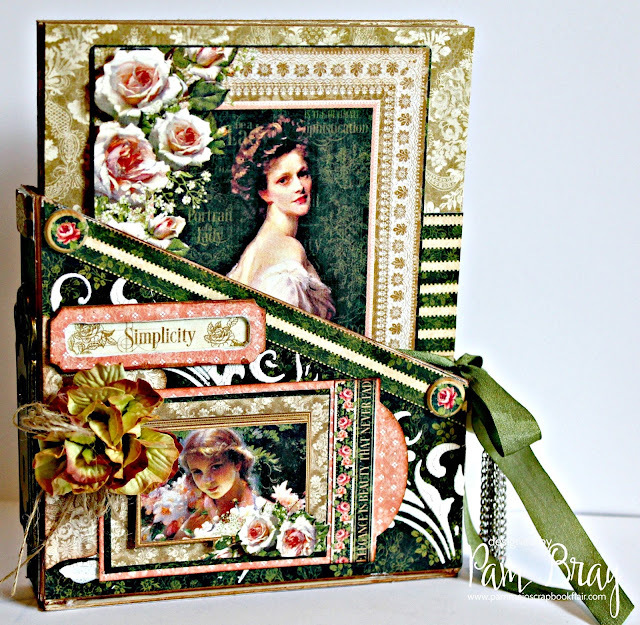 I am so glad you stopped today to see the fun card I created using Xyron and Paper Smooches products! Today I created a simple "Hi" Card using Paper Smooches Natural Beauties Stamp Set along with Xyron products. 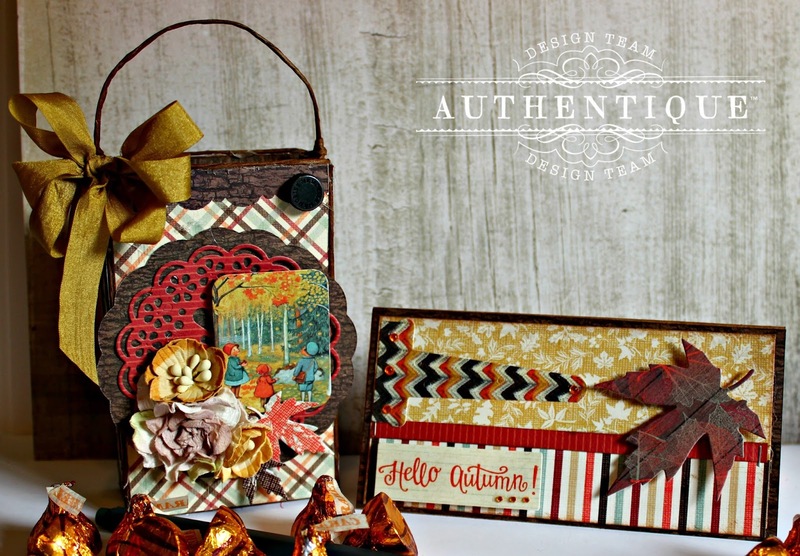 Begin by first punching out two borders from pattern paper using a scallop border punch. Run them through the Xyron 1.5 Sticker Maker with Permanent Refill. Adhere pattern paper and border strips of pattern paper to top of a square card using Xyron Anna Griffin Tape Runner with Permanent Refill. Stamp flowers from Paper Smooches Natural Beauties Stamp Set on pattern paper. Stamp the "Hi" sentiment from Paper Smooches Natural Beauties Stamp Set on pattern paper with black ink; punch out with circle and scallop circle punches. Adhere sentiment pieces together with Xyron Anna Griffin Tape Runner with Permanent Refill. Run Filigree Leaves chipboard through the Xyron 1.5 Sticker Maker with Permanent Refill. Remove prepared Filigree Leaves from adhesive sheet; add to front of card. Add prepared sentiment to top of card with pop dots. Using ACCO Swingline staple each corner of borders. Adhere bow to top of cards along with prepared flowers. Add centers of flowers to center of flower with pop dots. I hope you are inspired to grab your favorite Xyron and Paper Smooches Stamps to create some fun and fabulous cards and projects! Stop by and check out my talent Xyron team mate Jessica today to see what she has created. Hi everyone! Are you ready to join the "Black Hats Society", lol! 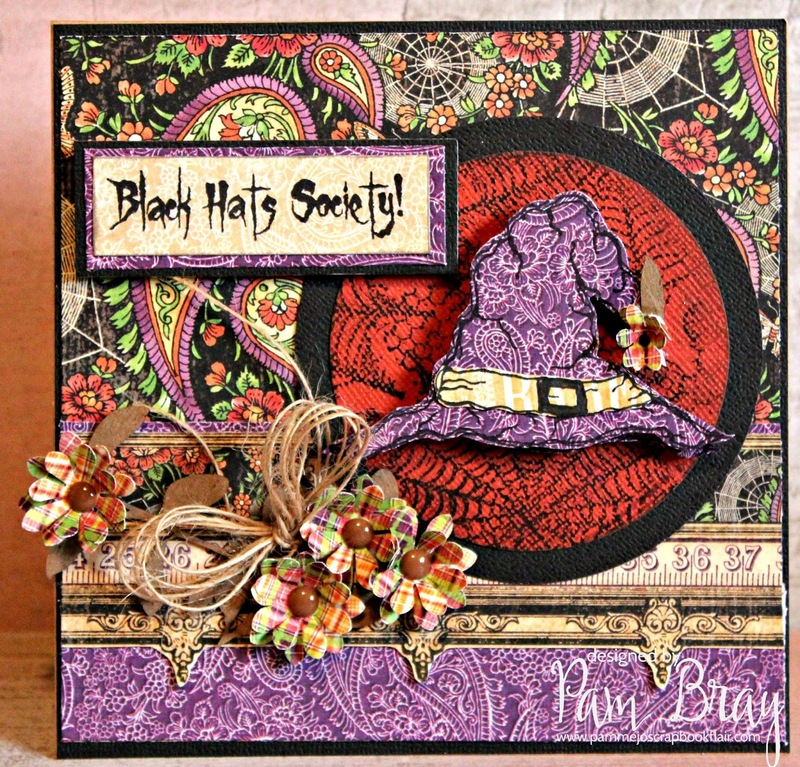 It was added it to my latest Halloween #3 Stamp Set from Sin City Stamps along with a fun witches hat. Begin by adhering patter paper to front of a square card base. Stamp the Grunge Cobweb Background Stamp on orange card stock with black ink; punch out. Place prepared spider web circle to top of card front. 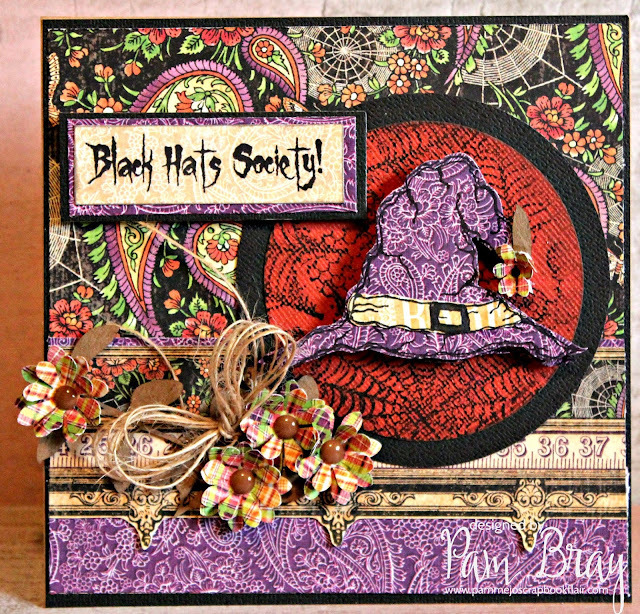 Stamp "Black Hats Society" sentiment and witches hat from the Halloween #3 Stamp Set on pattern paper with black ink. Add prepared sentiment to pattern paper and black card stock. Fussy cut witch hats out; layer together with pop dots. Add prepared matted sentiment to top of card front with pop dots. Add prepared hat to top of card front. Add chipboard and twine bow to front of card. Add enamel dots to center; adhere to front of card. I hope you are inspired to check out my stamp designs over at the Sin City Stamp Store.